On the 9th (Sat), see what you can catch with a fishing tour. To find ratings, reviews, where to stay, and tourist information, go to the St Helens journey planner . Sydney to St Helens is an approximately 6-hour flight. You can also drive. Traveling from Sydney in February, expect St Helens to be little chillier, temps between 28°C and 13°C. 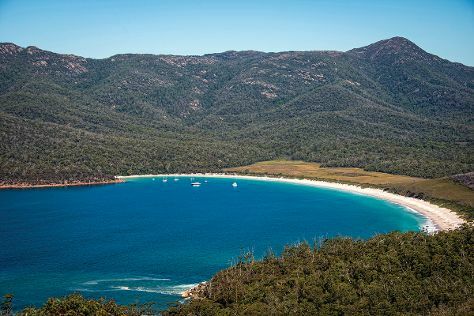 Wrap up your sightseeing on the 10th (Sun) to allow time to travel to Coles Bay. You'll discover tucked-away gems like Spiky Beach Conservation Area and Gala Estate Vineyard. 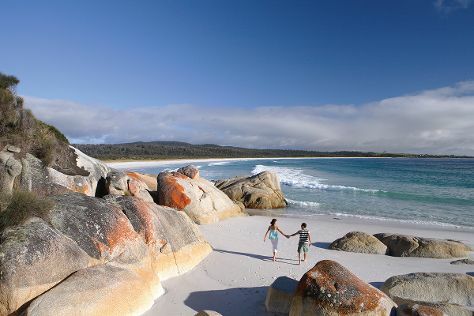 Venture out of the city with trips to Bicheno (East Coast Natureworld & Denison Beach). Next up on the itinerary: get up close to creatures of the deep with a dolphin and whale watching tour, make a trip to Bicheno Blowhole, view the masterpieces at Waubs Bay Gallery, and take in the waterfront at Coles Bay Jetty. To find maps, reviews, ratings, and more tourist information, refer to the Coles Bay trip planner . You can drive from St Helens to Coles Bay in 1.5 hours. Cap off your sightseeing on the 13th (Wed) early enough to go by car to Launceston. 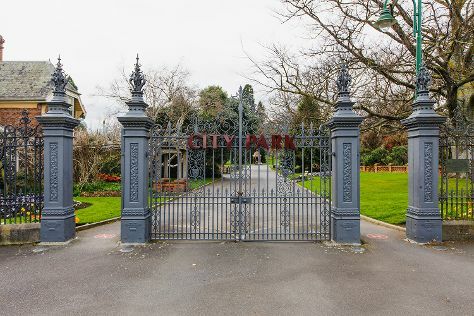 Start off your visit on the 14th (Thu): admire the masterpieces at Queen Victoria Museum & Art Gallery, explore the activities along Lake Trevallyn, then admire the verdant scenery at The Tamar Valley, and finally stroll through City Park. Keep things going the next day: take in the dramatic scenery at Lilydale Falls, then meet the residents at Seahorse World, then identify plant and animal life at Platypus House, and finally get a new perspective on things with Boat Tours & Water Sports. To find maps, where to stay, ratings, and other tourist information, go to the Launceston trip itinerary maker tool . You can drive from Coles Bay to Launceston in 2.5 hours. Alternatively, you can do a combination of car and bus; or do a combination of taxi and bus. Expect a daytime high around 28°C in February, and nighttime lows around 13°C. Finish your sightseeing early on the 15th (Fri) to allow enough time to drive to Stanley. Stanley is a town on the north-west coast of Tasmania, Australia. Start off your visit on the 16th (Sat): make a trip to Joe Lyons Cottage, stop by Sticks & Stones Shells & Bones, then don't miss a visit to Stanley Heritage Walk, and finally identify plant and animal life at The Nut State Reserve. Get ready for a full day of sightseeing on the 17th (Sun): take in the exciting artwork at Cow 'n' Calf Art Gallery, steep yourself in history at Highfield Historic Site, get great views at HA Lane Memorial Lookout, then make a trip to The Big Tree, and finally delve into the lush surroundings at Dip River Forest Reserve. Ask Inspirock to suggest an itinerary and make planning a trip to Stanley fast, fun, and easy. Getting from Launceston to Stanley by car takes about 3 hours. Other options: do a combination of flight and bus; or take a bus. 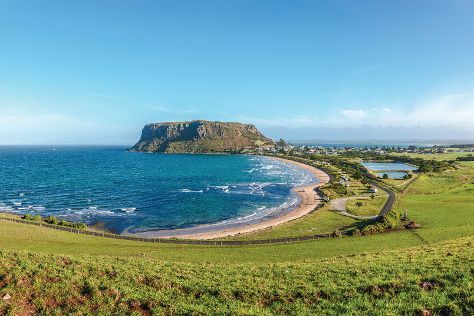 February in Stanley sees daily highs of 28°C and lows of 11°C at night. Finish your sightseeing early on the 17th (Sun) to allow enough time to drive to Hobart. Eschew the tourist crowds and head to Kingston Beach and Bellerive Beach. Take a break from Hobart with a short trip to Bonorong Wildlife Sanctuary in Brighton, about 30 minutes away. On the 19th (Tue), give your taste buds a day to remember with a local gastronomic tour. Next up on the itinerary: contemplate the long history of Constitution Dock, get to know the fascinating history of Battery Point Sculpture Trail, see the interesting displays at Mawson's Hut Replica Museum, and snap pictures at Richmond Bridge. For more things to do, other places to visit, traveler tips, and other tourist information, you can read our Hobart trip maker . Drive from Stanley to Hobart in 5 hours. Alternatively, you can do a combination of bus and flight; or take a bus. Expect a daytime high around 26°C in February, and nighttime lows around 14°C. Finish up your sightseeing early on the 20th (Wed) so you can travel back home.